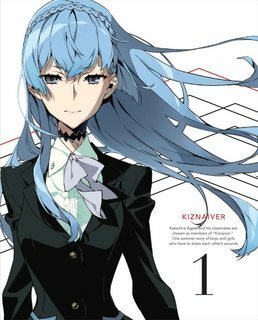 Unless I am mistaken, it seems as if Nori-chan from the anime Kiznaiver has two different voice actresses. One for the 'young' Nori-chan and one for the main part of the story. My question - Who is the voice actress for the 'young' Nori-chan? and season 1 episode 10 at around the 21m:44s (timing includes opening song). I'm sure I've heard this voice before, it is incrediby irritating. They aren't played by the same person. Who is the voice actress for the 'young' Nori-chan? 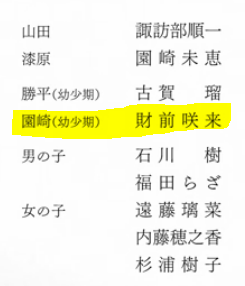 Teenage Sonozaki is played by YAMAMURA Hibiku, but child Sonozaki is played by 財前咲良 (probably read "ZAIZEN Sakura"). 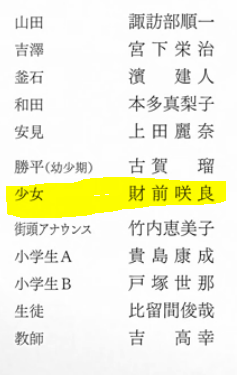 She's credited in episode 1 as "girl" (少女). As near as I can tell, this is her first role in anime, so you probably haven't heard her before. It does appear that she voiced young Cinderella in the Japanese dub of Disney's 2015 Cinderella, though, and I imagine she might've had some other minor gigs (commercial voiceovers, etc.) too. Not the answer you're looking for? Browse other questions tagged voice-acting kiznaiver or ask your own question.